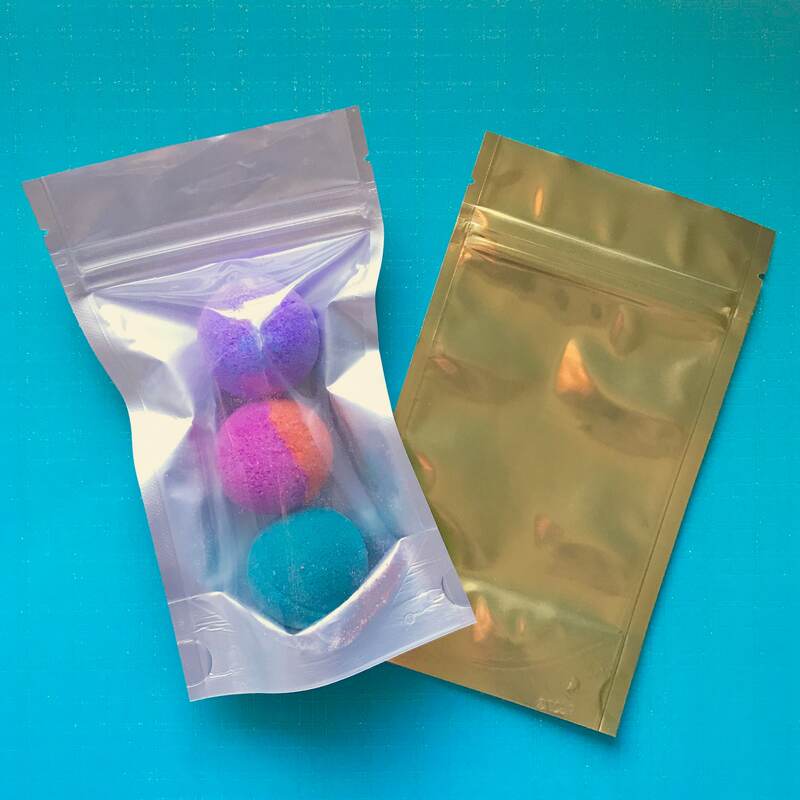 These bags are great for products like bath salts, bomb dust, bath teas, colorants, food, etc. You can impulse seal these and use the tear strip to open them for a tamper proof seal. The zipper seal inside is heavy duty. The bags are very heavy and won't tear open with even heavy items like chunky salts. 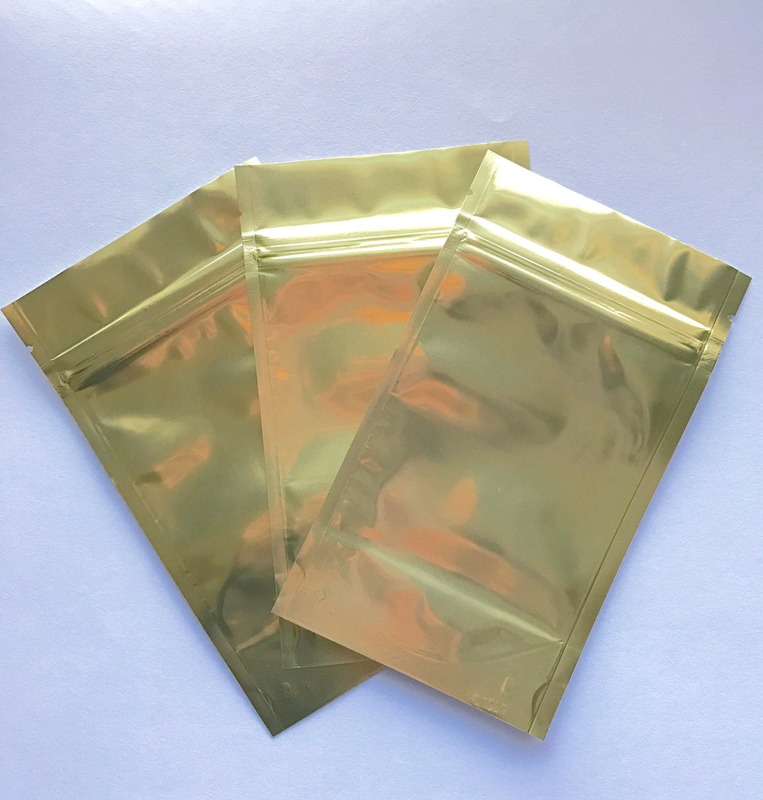 These are the best quality stand up pouches on the market, not economy ones. The back is gold foil. The front is clear plastic so you can see your product inside and the inner back side is silver foil. 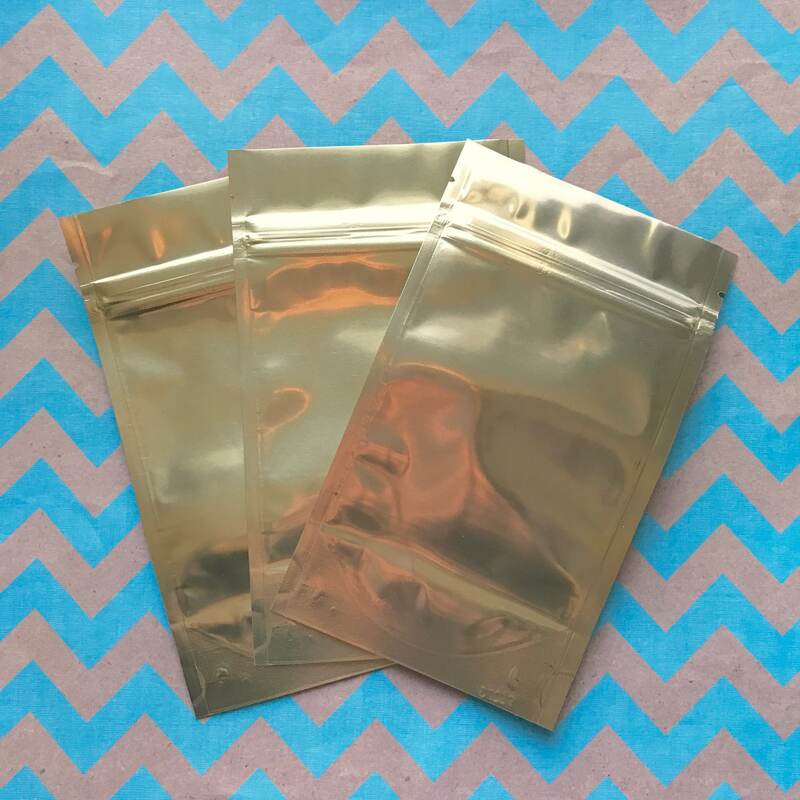 This listing is for 100 stand up bags in gold/clear. Choose your size by the drop down menu! 4x6" bag measurements: 4" x 6 1/2" x 2 3/8"
5x8" bag measurements: 5 1/8" x 8 1/8" x 3 1/8"
6x9" bag measurements: 5 7/8" x 9" x 3 1/2"